​Venice, Italy. As a beautiful snowfall is seen quietly descending onto the ground and water below, one might think the equally beautiful woman (Shari Shattuck) gazing off into the distance is experiencing a blissful moment of inner peace and tranquility. Yes, she indeed is. The calmness in her eyes though, is disguising an inner turmoil that is about to resurface – with a raging vengeance. The opening moments of “Scream at the Devil” are full of exceptional shots by director Joseph Paul Stachura, who instantly offers up an uneasy feeling that something foreboding is about to unfold, all the while combining dazzling imagery with surreal atmosphere. Not surprising, for Stachura also wrote the screenplay and co-produced the film. And, the leading lady just happens to be his wife. This film is obviously a very personal undertaking for Stachura. He has invested his heart into this project. As the man behind the camera, he paints a picture with tightly-focused, old-school approaches combined with a sleek edge. He takes this approach because he knows the horrifying journey his viewers are about to go on demands it. Shari Shattuck instantly commands the screen with a strong screen presence that never fades. Dealing with her husband’s (Eric Etebari) recent affair and a miscarriage, Mirium Jones (Shari Shattuck) is a woman full of emotional torment. Leaving her despair behind in the states and attempting to embrace solitude in Italy is certainly understandable. Unfortunately for Mirium, some things can’t be left behind. We learn a lot of things about Mirium during the early stages of the film. Her time spent painting makes it clear she is an artist, just as her longing to be a mother is confirmed through fallen tears when she notices a small group of children playing nearby. There is a sense of great sadness behind those piercing eyes but also a sense that there is something haunting this woman. When her husband begs for forgiveness and asks for her to return home to reconcile, Mirium will be heading back with a broken heart in tow. She will also be taking along that which has been haunting her for years – schizophrenia. Things are about to take a horrifying turn for the worse. Stachura sets the film up nicely in Italy, then throttles up the intensity in an unforgiving manner once the film switches locations. He has no choice. After all, Mirium’s mind refuses to offer mercy, especially once her medication is no longer being taken. Not a wise choice for Mirium. As the unfaithful husband, Eric Etebari is outstanding. He impressively displays a side of tenderness while attempting to win back his wife’s trust, but also displays a more aggressive side when his efforts don’t go as planned. Add drinking, bitterness and impatience, and it becomes clear that Gabriel (Eric Etebari) has all of the ingredients for making the situation unattainable. A frustrated Gabriel apparently underestimates the extent of his wife’s suspicion of his motives. Sometimes, when a woman’s trust has been shattered, it never returns. The resentment is clearly evident in Mirium’s voice, as it is in her eyes. This may be a woman scorned, but it is her mental illness that actually threatens her stability the most. All of this leads to heated arguments including an intense scene in the garage. Shattuck and Etebari work exceptionally well together. Etebari also has a strong screen presence, and it quickly becomes clear he was the perfect choice for the role.Each cast member brings something unique to the film, including Tony Todd as Detective Johnson, who brings a certain calmness to a harrowing scenario. He is, perhaps, the only character in the entire film that truly sympathizes with Mirium’s horrendous ordeal. Even a delivery man (Bill Oberst Jr.) has an unexpected exchange with Mirium. Moments like this provide time for dark humor while still remaining creepy. Shattuck is an amazing talent. She can take the smallest of moments to another stratosphere as shown in the scene where three annoying college students, requesting to see her artwork, have Mirium feeling a bit snappy. Those three ladies will wish they never stopped by. Extremely well-shot scenes set up by Stachura are complimented by his approach to smaller moments in the film. Every angle is just right—every scene visually interesting or colorful. Even Mirium walking around the side of the house is full of atmosphere. He cares about every single frame of film, and it clearly shows on the screen. Stachura directs with an unflinching edge. His script takes risks with approaches to storytelling that other directors might have shied away from. In addition, Stachura doesn’t reveal all of his cards on the table. There is a moment, for example, where Mirium opens a storage room door with frightening results. It appears as though a body may be wrapped up leaning against the corner. That moment is briefly reminiscent of the classic “The Mummy” starring Boris Karloff. For a moment, one might wonder if it is actually a mummy leaning against the wall. That’s because Stachura sets up each of his scenes with visual skill. What would it be like to see schizophrenia spin viciously out of control while consuming its victim in the process? An example might be found in Stachura’s “Scream at the Devil.” Watch this film through the eyes of Mirium, and it suddenly becomes clear what Stachura’s true intentions are with his storytelling approach. To watch Shattuck take the emotionally devastated Mirium from the beginning of the film and ultimately transform her into the mentally disturbed woman at the end is an example of mind blowing talent on full display. Shattuck’s gripping performance takes you over the edge with her tormented character. One can’t help but feel sorry for Mirium. To suffer this way is undeniably cruel. While it is indeed horrifying to have a man wearing a hockey mask clutching a hatchet as he chases a petrified woman through the woods surrounding Crystal Lake, there is another type of scenario that is equally as terrifying—the monster inside your head. 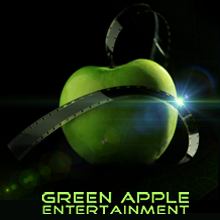 Worldwide distribution through GREEN APPLE ENTERTAINMENT! 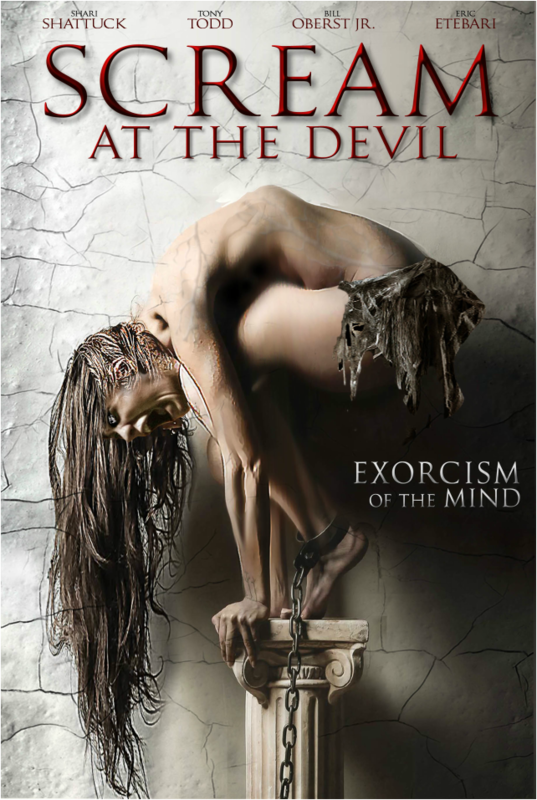 Look for us at Walmart, RedBox, Barnes and Noble, Amazon.com or stream 'SCREAM at the DEVIL' on Amazon Prime! LA Weekly "Writer-producer-director Joseph P. Stachura's horror-of-grief yarn Scream at the Devil takes cues from both Don't Look Now and Rosemary's Baby..."
"Stachura turns everything up to 11 almost from the outset"
IMDB PRO Intriguing, and thought provoking. I honestly didn't exactly know what I was getting into heading into this one. But to a pleasant surprise, this one surprised me. The acting in this film was solid, and I felt as if the actors really had heart for their characters they played. The characters we're given are unique, at times, however, presented on multiple levels with small shards of clichés, but overall entertaining, and unique enough to hold us off. The overall story I honestly felt it to be surprising. It had a good premise to where it introduces twists, and small surprises that satisfied. The story, and or premise also had some creative offerings, giving some eye opening take-ons. Keeping this review very short, the film overall was successful in holding the attention of us, audience. It was unique, refreshing, and for the most part the given story was thought provoking, new, and fresh. The plus-elements including the characters and such succeeded as well, adding onto the film's success. This was a great, pleasantly surprising thriller, if you can see it, I'd recommend doing so. DO YOU BELIEVE IN THE DEVIL ? is out to KILL HER!